Embracing change isn't easy for Ingenlath, which is why he looks to a top Volvo executive for inspiration. 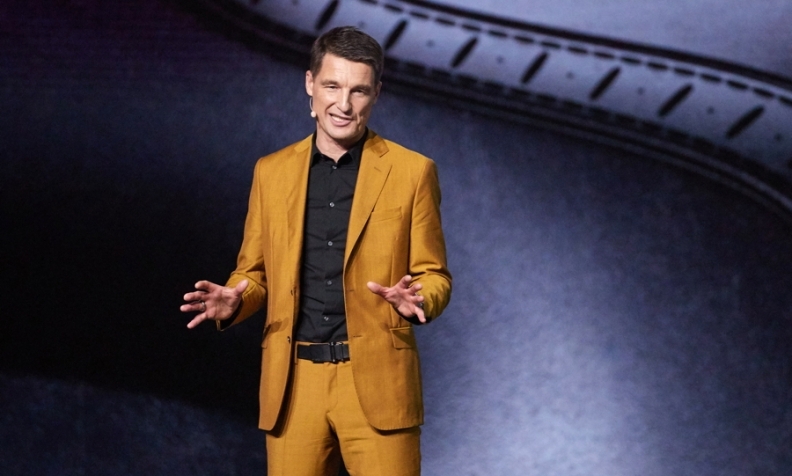 There is something that you probably don't know about Polestar CEO Thomas Ingenlath -- the man who has shaken up Volvo's styling as head of design is slow to embrace change. "That certainly does not come naturally to me," Ingenlath told me during a roundtable interview this week. "I know it is funny to hear from somebody who has worked in design, but I think in our own personal and professional lives we all struggle to embrace change." Ingenlath shared this tidbit of information when I asked the 53-year-old German executive which of his past bosses he is trying to emulate as he makes the rare transition from design boss to chief executive of his own brand. His answer: Volvo CEO Hakan Samuelsson. "Hakan impressed me and he still impresses me with his ability to embrace change," Ingenlath said. "He definitely lives this truly and fully. I think everyone can see that in the development of the Volvo brand." Samuelsson's willingness to embrace change has shown since he took over the brand in 2012, which happens to be the same year that Ingenlath arrived after Volvo successfully lured him away from the Volkswagen Design Center in Potsdam, Germany, where he oversaw styling for all VW Group brands. Samuelsson, who turns 67 next month, has been the main catalyst behind Volvo's push into electrified models. One of his ideas was to make Polestar a stand-alone brand for electrified performance cars. Samuelsson is also committed to autonomous driving and this is showcased by Volvo's formation of the Zenuity 50-50 joint venture with supplier Autoliv to develop future self-driving solutions, as well as the company's deal to supply Uber with up to 24,000 XC90s that will become part of the ride-sharing giant's first robotaxi fleet. He also was the strongest voice for the creation of the Care by Volvo subscription scheme, which gives XC40 customers trouble-free car ownership over a 24-month term with no down payment or balloon payment at the end of the contract. These future-forward moves have come as Samuelsson has helped guide Volvo to new records for global sales and operating profit in 2017. He also was open minded enough to make a designer, Ingenlath, the head of a brand. Something that has only happened a handful of times in the history of the industry.